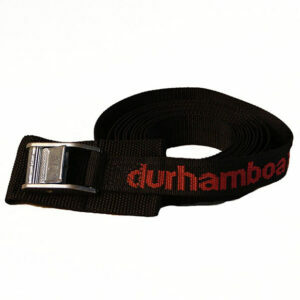 Boat Straps: Black nylon straps with padded buckles. Available in 9′ and 12′ lengths. Features: Polypro webbing, heavy duty tight weave. Stamped strap length on each buckle. Padded buckle to prevent scratches.